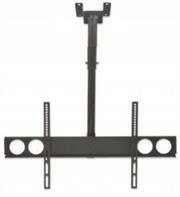 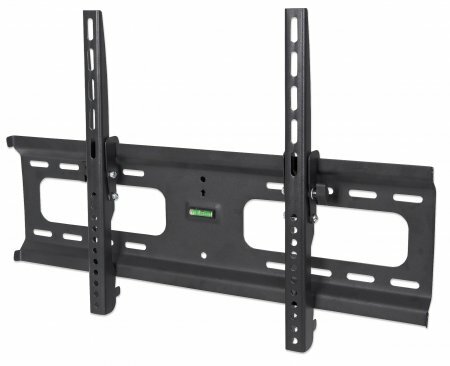 Manhattan Universal Flat-Panel TV Tilting Wall Mount with Post-Leveling Adjustment - Supports One 37” to 80” Television up to 80 kg (176 lbs. 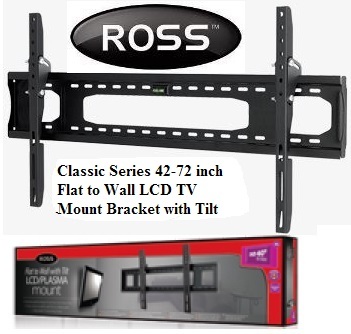 ), Retail Box , 1 year Limited Warranty. 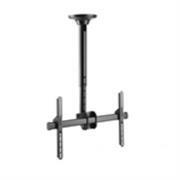 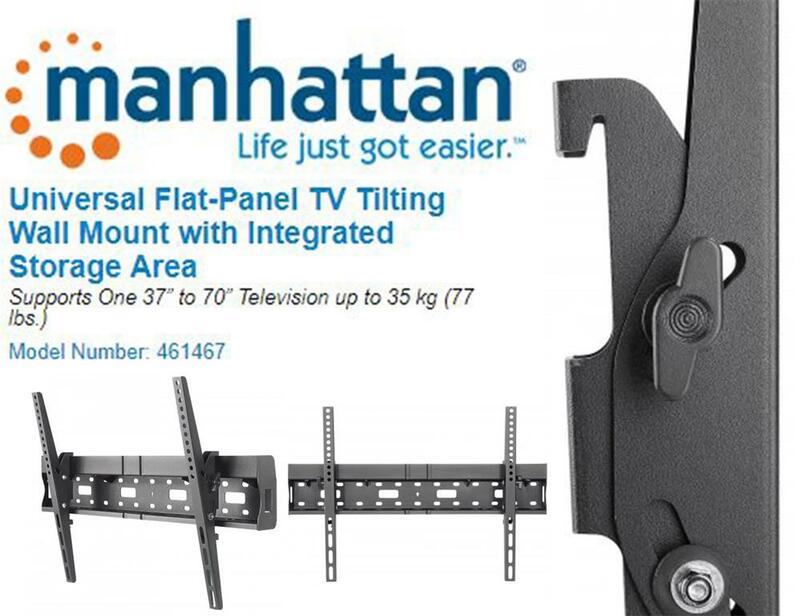 Manhattan Universal Flat-Panel TV Tilting Wall Mount Supports one 37” to 70” television -Overcome odd floor plans, annoying glare and awkward furniture placements that can diminish flat-panel TV experiences. 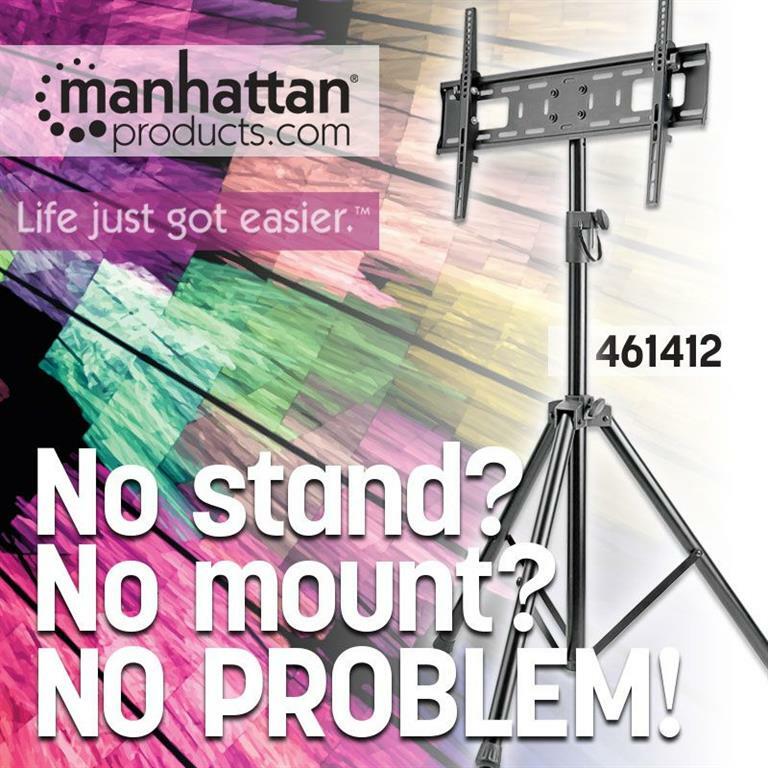 Manhattan Universal Flat-Panel TV Tilting Wall Mounts with smooth, one-touch tilt adjustments help keep images, contrasts and colours clear, sharp and defined. 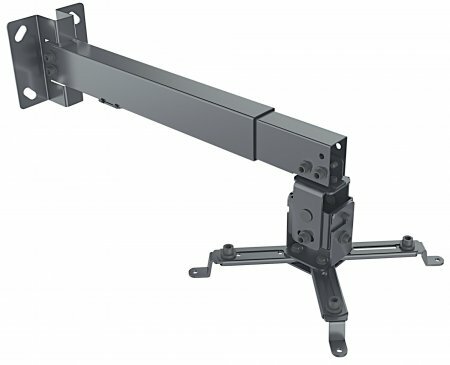 VESA-compliant and constructed of quality materials, Manhattan Universal Flat-Panel TV Tilting Wall Mounts fit a variety of display sizes with a secure and confident above-the-floor installation. Ideal for residential, office, hospitality, classroom and conference room, digital signage and other commercial applications, Manhattan Universal Flat-Panel TV Tilting Wall Mounts bring high-performance LCD or plasma TV enjoyment front and centre. 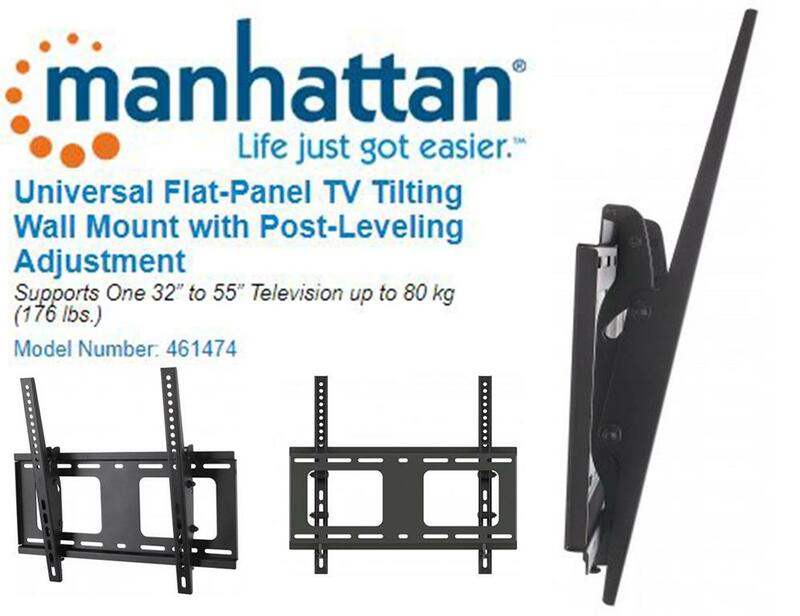 Manhattan Universal Flat-Panel TV Tilting Wall Mount with Post-Leveling Adjustment - Supports One 32” to 55” Television up to 80 kg, Retail Box , 1 year Limited Warranty. Overcome odd floor plans, annoying glare and awkward furniture placements that can limit flat-panel TV experiences. 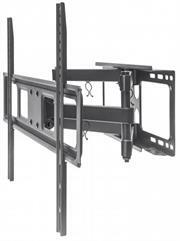 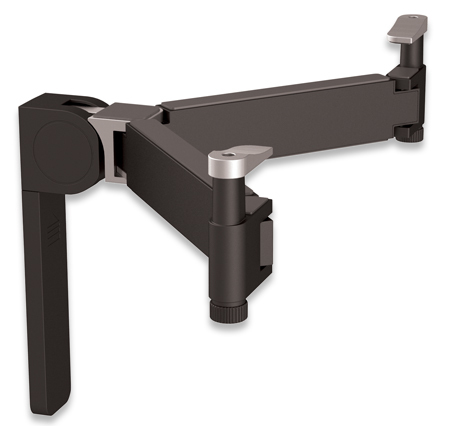 MANHATTAN Universal Flat-Panel TV Articulating Wall Mounts fold nearly flat against the wall and safely extend on a strong, single-arm framework that helps realize prime viewing positions from almost anywhere in the room. 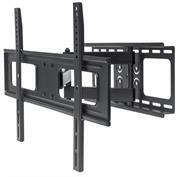 VESA-compliant and constructed of quality materials, MANHATTAN Universal Flat-Panel TV Articulating Wall Mounts fit a range of display sizes with a secure and confident above-the-floor installation. Ideal for residential, office, hospitality, classroom and conference room, digital signage and other commercial applications, MANHATTAN Universal Flat-Panel TV Articulating Wall Mounts bring high-performance LCD TV enjoyment front and center. 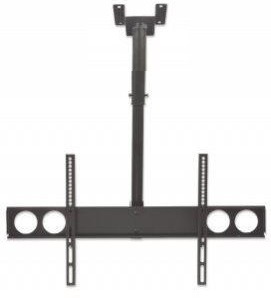 Manhattan Universal Flat-Panel TV Tilting Wall Mount with Integrated Storage Area - Supports One 32” to 55” Television up to 35 kg, Retail Box , 1 year Limited Warranty. 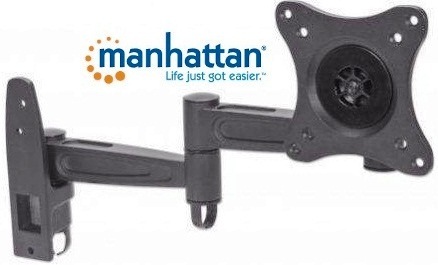 Constructed of lightweight, quality materials, Manhattan Universal Projector Ceiling or Wall Mounts fit a range of models with a secure, confident and balanced overhead or wall installation. 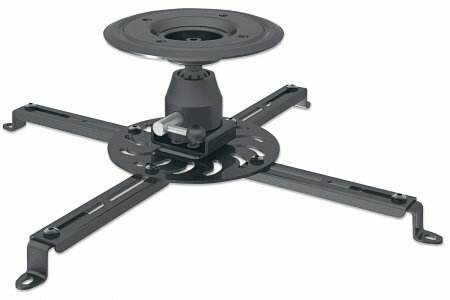 In some cases, their internal cable management helps conceal unsightly cords and connections for a professional, finished appearance. 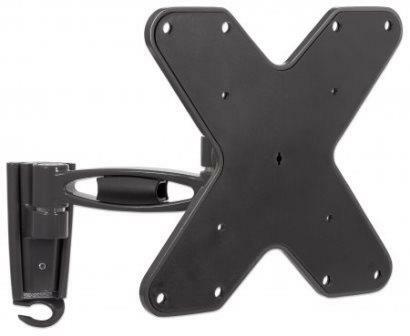 Manhattan Universal Folding A/V Accessory Wall Mount - Plastic/Steel Wall Mount with Adjustable Support Arms for Audio/Video Components, Retail Box , 1 year Limited Warranty. 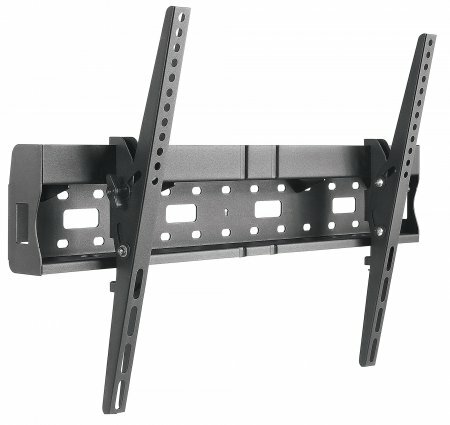 When floor space is limited or adding furniture is impractical, this Universal Folding A/V Wall Mount attaches underneath or near wall-mounted flat-panel TVs to neatly organize and arrange multimedia components. 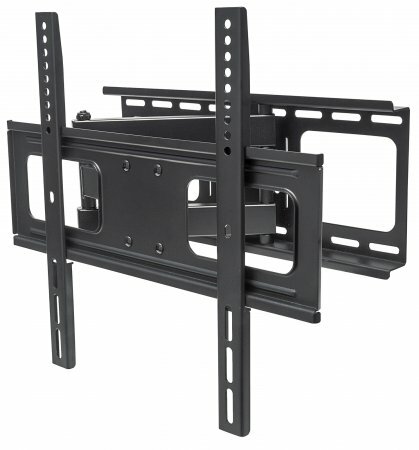 Constructed of durable steel and plastic, the Universal Folding A/V Wall Mount saves space and safely holds a DVD or Blu-ray player or other AV components in a contemporary style. The Universal Folding A/V Wall Mount provides a professional, finished appearance without restricting airflow to sensitive equipment. 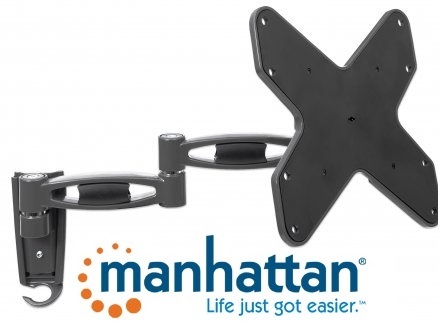 Ideal for residential, office, classroom, conference room and other installations, the Manhattan Universal Folding A/V Wall Mount brings convenient access and modern design front and center. 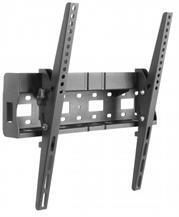 Overcome odd floor plans, annoying glare and awkward furniture placements that can limit flat-panel TV experiences. 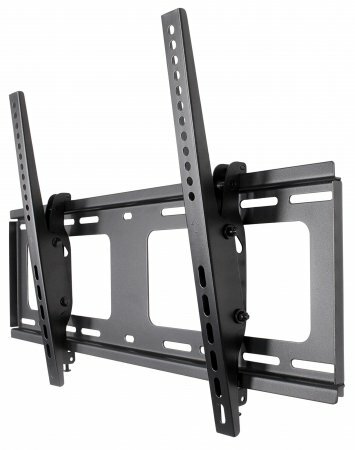 This Manhattan Universal Flat-Panel TV Articulating Wall Mount folds nearly flat against the wall and safely extends on a strong, double-arm framework that helps you realize prime viewing positions from almost anywhere in the room. 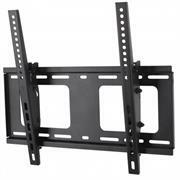 VESA compliant and constructed of quality materials. 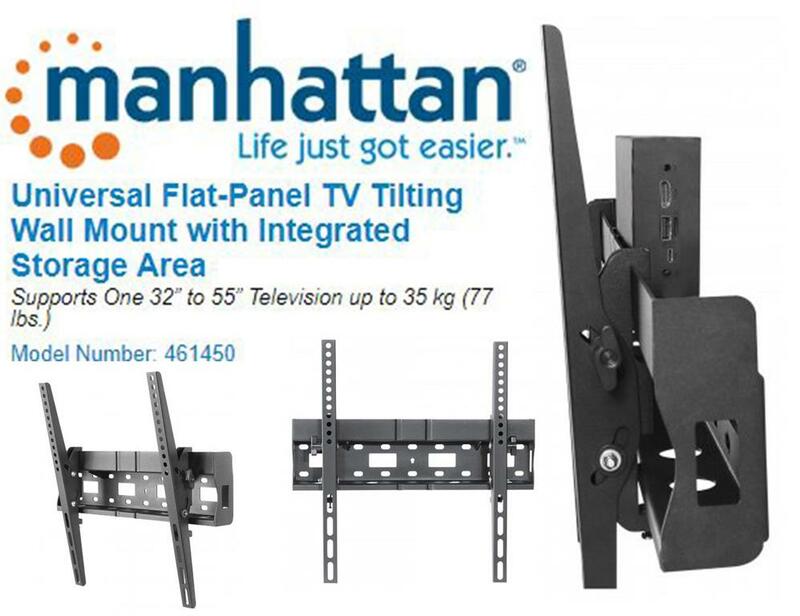 Manhattan Universal Flat-Panel TV Articulating Wall Mounts fit a range of display sizes with a secure and confident above-the-floor installation. 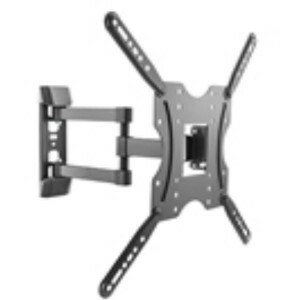 Ideal for residential, office, hospitality, classroom, conference room, digital signage and other commercial applications, Manhattan Universal Flat-Panel TV Articulating Wall Mounts bring high-performance LCD TV enjoyment front and center. 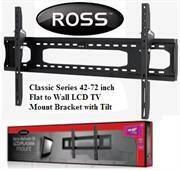 Overcome odd floor plans, annoying glare and awkward furniture placements that can limit flat-panel TV experiences. 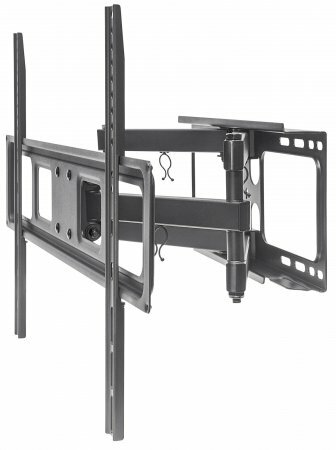 This Manhattan Universal Flat-Panel TV Articulating Wall Mount folds nearly flat against the wall and safely extends on a strong, single-arm framework that helps you realize prime viewing positions from almost anywhere in the room. 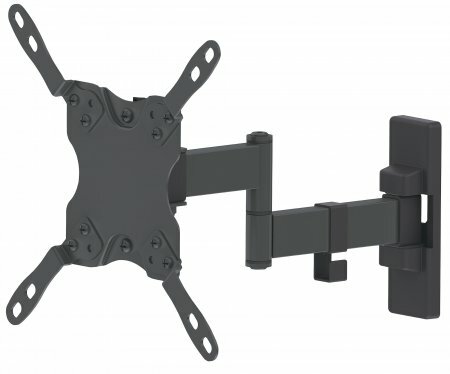 VESA compliant and constructed of quality materials, Manhattan Universal Flat-Panel TV Articulating Wall Mounts fit a range of display sizes with a secure and confident above-the-floor installation. 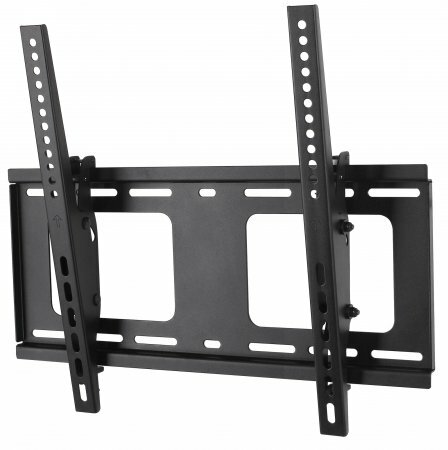 Ideal for residential, office, hospitality, classroom, conference room, digital signage and other commercial applications, Manhattan Universal Flat-Panel TV Articulating Wall Mounts bring high-performance LCD TV enjoyment front and centre. Overcome odd floor plans, annoying glare and awkward furniture placements that can limit flat-panel TV experiences. Manhattan Universal Flat-Panel TV Articulating Wall Mounts fold nearly flat against the wall and safely extend on a strong, single-arm framework that helps realize prime viewing positions from almost anywhere in the room. VESA-compliant and constructed of quality materials, Manhattan Universal Flat-Panel TV Articulating Wall Mounts fit a range of display sizes with a secure and confident above-the-floor installation. Ideal for residential, office, hospitality, classroom and conference room, digital signage and other commercial applications, Manhattan Universal Flat-Panel TV Articulating Wall Mounts bring the enjoyment of high-performance LCD TV front and center.